This guide will walk you through the basics of setting up LiveZilla to run on PaaS service such as Azure App Service. In my case I had to migrate an existing LiveZilla instance running on a VM and run it on Azure App Service. This guide does require you to jump into the LiveZilla config files and update a few things. The LiveZilla version I was using was 5.4.0.2. I'm not going to go into every detail of Azure / App Service you should already have some experience on this front for you to be successful setting this up. Notice how LiveZilla will throw an error complaining about not being able to connect to the DB. This is the tricky part. MAKE SURE You Disable Slow Query Log and General Log otherwise you will max out your disk space QUOTA, this might be a an issue only because the feature is still in preview I'm not sure. See below. Log into your physical VM MySQL Database you will have to export 3-4 tables at a time and import them into PHPMyAdmin, the reason for this is currently Azure PHPMyAdmin has a max upload size of 8MB you cannot change this by modifying maxupload size in configs. I would recommend not zipping them as this also seems to crash PHPMyAdmin, its a little brittle Its a static setting from Azure at the writing of this article. Once you have each table imported into your new LiveZilla DB in PHPMyAdmin you will now modify the connection strings.These are all Base64 encoded. https://www.base64decode.org/ This will help you view / edit the values. App Service Instance | Edit File: site/wwwroot/_config/config.inc.php add this below line 39. If you run into DB connection issues search through all the LiveZilla code and look for other places the connection string is used, replace the value with the above parsed out values, make sure you Base64 encode everything. I had a rather odd issue come up a few weeks ago for a client that generates data sheets for it’s Chinese distributors. These data sheets are generated via iText pdf using the SimSun font. 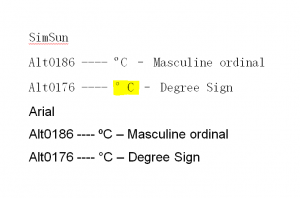 Below is a screen shot of the issue that came up when SimSun renders the degree symbol notice the trailing white space. Since this was an actual issue with the font and the client requested that we not change the font due to Chinese standards I came up with the following solution. SimSun supports the ‘Masculine Ordinal’ symbol. This symbol does not have the trailing white space that the ‘degree’ symbol does. 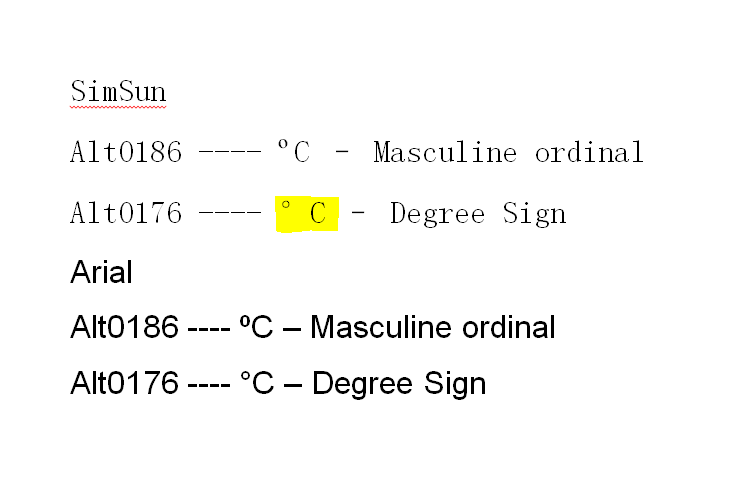 So on the fly when it comes time for iText to generate a Chinese Datasheet I replace all Degree symbols with Masculine Ordinals. A little hacky but def the best solution available at the time. Here is a code snippet that will convert HTML into BBCode using C#. I know you are not suppose to use regular expressions to manipulate HTML and that I should have used agility pack, but this was the quickest solution to write. There you have it. ?A simple piece of code that will convert a simple html block into BBcode. I’m going to discuss the process I went through to implement a custom Plupload UI. First of all I init an instance of plupload and set the options. I set the drop area, and the container that the file progress will be displayed in.